Pheasants Forever is committed to educating the next generation of land stewards and hunters. Pheasants Forever developed a program with the Nebraska Game and Parks Commission that allows boys and girls, ages 12 to 15, who have recently completed a Hunter Safety Education class to attend a “Youth Mentor Hunt.” Since 1996, Pheasants Forever and Quail Forever chapters in Nebraska have had over 13,000 youths attend a Youth Mentor Hunt! Youth enrolling in this program are given instruction on various hunting related topics such as dog training, reloading shot shells, hunter safety, blue rock shooting, how to ask a landowner for permission to hunt, and much more in a one-day, mentored setting. The highlight of the day is an actual pheasant or dove hunt with a mentor and dog handler. This program has been very rewarding and is designed to target those youth that have a strong interest in hunting, but limited opportunities to go hunting. View our calendar for a complete list of Youth Mentor Hunts for 2018-2019. Please note that event dates are subject to change. For more information on any Youth Mentor Hunt activities email or call Marissa at mjensen@pheasantsforever.org or 402-250-7146. 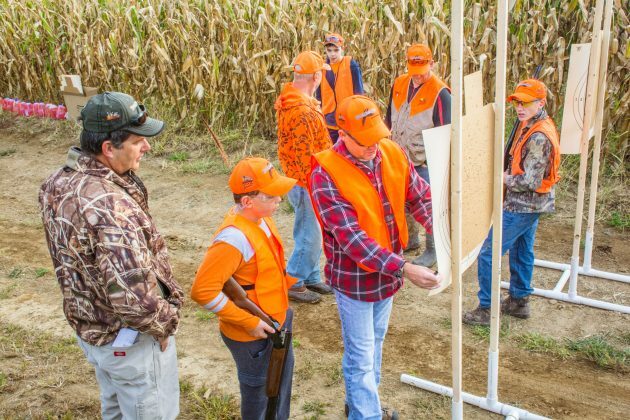 One of the first steps towards becoming a hunter is the successful completion of a Firearm Hunter Education Course, which is required for all Nebraska hunters age 12 through 29. The Nebraska Game and Parks Commission offers both online and traditional classroom courses. Classroom courses are offered state-wide, free of charge. 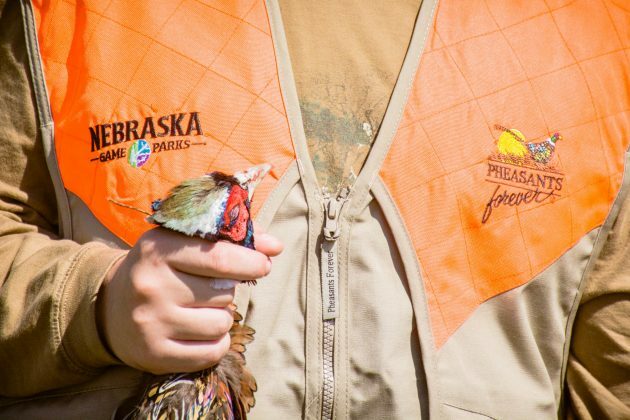 Find a course that’s right for you and more hunter education resources at huntsafenebraska.org. If you like to experience excitement and adventure while having a great time being with people who enjoy the outdoors, try pheasant hunting! There’s nothing quite like being surrounded by the scenic beauty of nature, watching bird dogs in the field, harvesting your own food from the wild, and sharing those memories with family and friends. 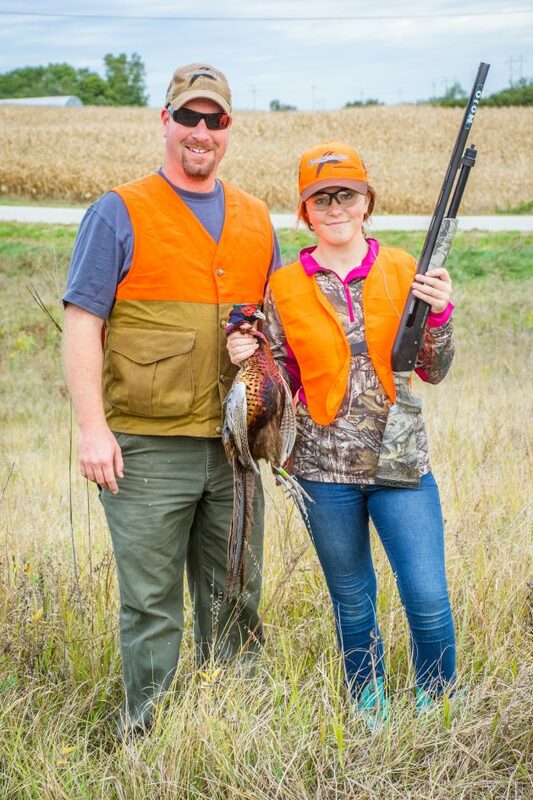 Whatever your motivation, Pheasants Forever’s Youth Mentor Hunt program provides easy access to information, opportunities, and social support to develop safe and responsible hunters. After all, we’re just as passionate about immersing ourselves in the great outdoors. 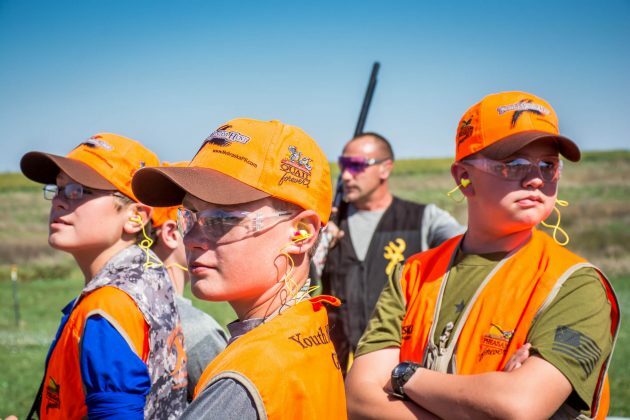 Pheasants Forever’s youth program is dedicated to introducing the next generation to hunting, shooting sports, and outdoor conservation through youth events, education, community service, and cooperation with both governmental and non-governmental partnerships. Through a variety of programs, youth will gain knowledge, learn skills, and develop a land ethic necessary to be responsible hunters and conservationists. Become a Ringnecks or Whistlers member today!